Edit: This coupon is now expired - you can like me on facebook or follow my blog for upcoming coupon opportunities. Earth Day is April 22nd. 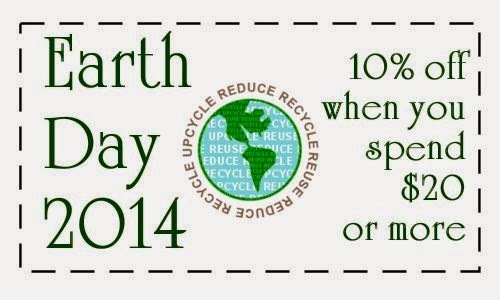 Enjoy a 10% off EARTH DAY coupon in my DetroitKnitter shop on Etsy.